Through the enormous generosity of Sslarn, I was able to play through Valiant Hearts last week. I am shamed to say that I never knew that much about WWI or the horrors its soldiers faced. I considered it less interesting since it lacked the ever shifting front and iconically evil Nazi army. I say I am ashamed with the deepest sincerity I can muster. I had no idea how much it changed the world we live in now. My time in the game taught me much, and I emerged a different person than I am now. You've already been introduced to the characters in the game. Let's talk more about the experience of playing the game. Valiant Hearts isn't a game that anyone should be excited to play. It is a game that everyone should play. From the instant the theme began playing at the title screen, my eyes were watering. 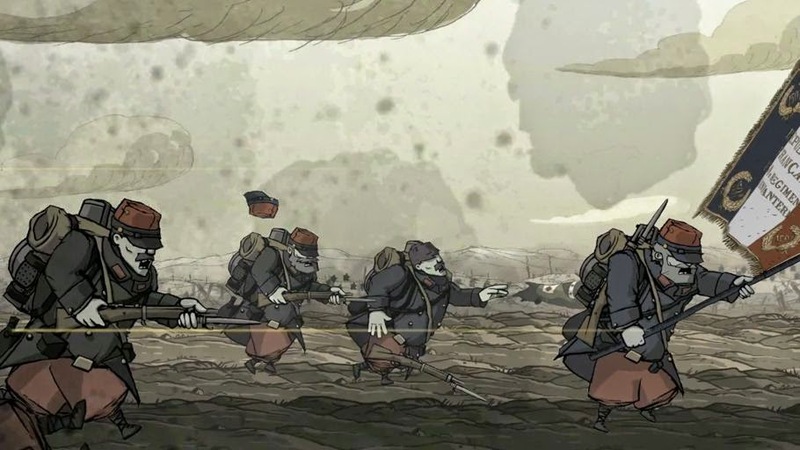 Don't be fooled by the cartoonish appearance of Valiant Hearts. It's an experience you won't soon forget, and it isn't something for young kids to play. The authenticity and respect they pay the historical events is evident in every frame. You will, or at least you should feel sad at many points in the game. For some horrible reason (probably relating to my excuse for disinterest in WWI) many of us (Americans, at least) seem to have forgotten WWI almost entirely. All of its veterans have died. The only thing we have left are the stories they and others like them left behind. Made in conjunction with the WWI documentary, Apocalypse, Valiant Hearts is the best education I've received on the subject. I don't think it's fair for me to say the game was fun. It makes me feel disrespectful to say so. There are at least two points in the game though that made me laugh and smile. Both were played as Anna, the nurse and taxi driver, and one of those was played to the tune of Brahms' Hungarian Dance No. 5, my favorite classical piece of all time. 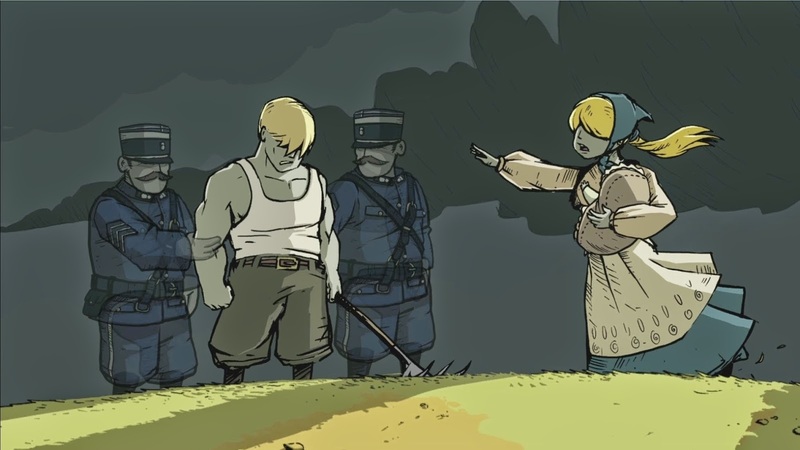 I can say that Valiant Hearts is a very well made game. The puzzles are enough to make you think, but not so engrossing as to take away from the setting, or minimize it. The incredible score is cobbled together from a number of different artists, including more than one classical mashup and period tune. The piano gets right under your skin and holds you up by your heart. As corny as that sounds, Valiant Hearts has one of the most moving themes I've ever heard. The writing is inspired by real letters recovered from the war. In each level there are a number of collectible items, each one accompanied by couple paragraphs about what it is and its place in the history of WWI. From medals to shrapnel, fliers to cookware, each one provides more insight into the real experience of the people that fought in the horrible, muddy trenches. I implore you to read every journal entry, every item description and every fact essay provided in the game. Read level by level, it give you a better picture of what was going on at that time, and does a lot to educate you. 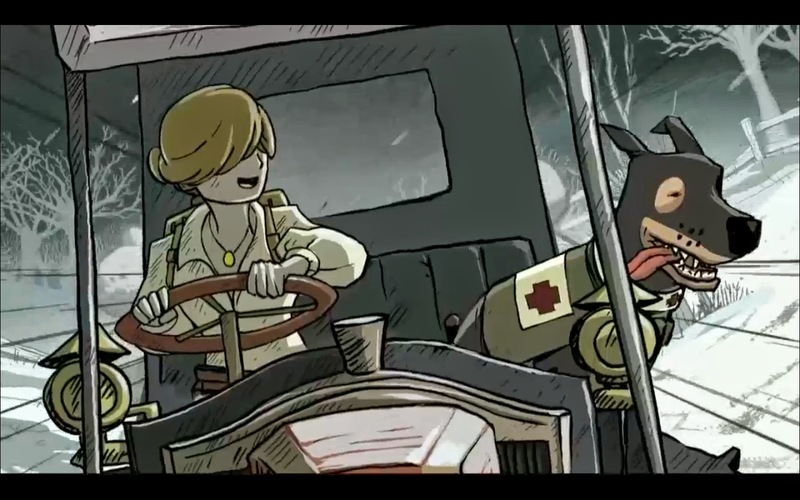 At it's heart, Valiant Hearts is a series of stories about common people. Through their eyes, players see and hear the hopes, expectations and laments of four people, some divided by the line between the trenches. We visit both sides of the front. From the French to the German line and POW camps on both sides, Valiant Hearts does an excellent job of telling the story of the war from many different angles. As much as it broke my heart, I want to play through again. I've missed a few items, and the story is important enough to deserve a second go. Valiant Hearts is a game you will never forget. It is touching, lovingly illustrated, thoughtfully told. I will never again dilute the sacrifice or lives of those that served in it.